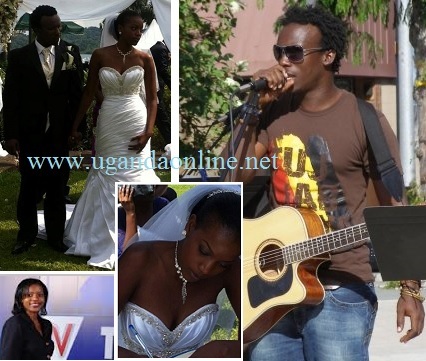 To most people, It's a yearly wedding anniversary do but to the Swangz Avenue producer, Vince Musisi, he could end up having like three to four wedding anniversaries in just one year. A few days back, it turned out that Vince had been married to NTV's Josephine Karungi for 88 days, though interestingly for him, he takes note of the hours minutes and seconds as revealed through his wall. Today I proudly say, I have been married for 88 DAYS or 2096 HRS or 125760 minutes. Been blessed with a wonderful Woman of God and partner in crime. I love you Josephine Karungi. This got most of his pals excited though some wondered what sort of celebration it was. Vince is still counting though he has not forgotten where he came from through his definition of marriage: "Marriage.. It's like being bornagain again. You get to let go of everything you've been and known just for this one beautiful thing that coward men and women are scared of." It's a three months wedding anniversary though snoops could not easily establish whether this was their one year or two year dating anniversary. In a related development, Sudhir Byaruhanga also of NTV and his long time boo Arayo Miller were wedded yesterday.